It’s a thrilling, emotional experience characterised by a score rich in feeling (variously conjuring Wagner, Strauss, Puccini, Britten and others) and dramatic focus. 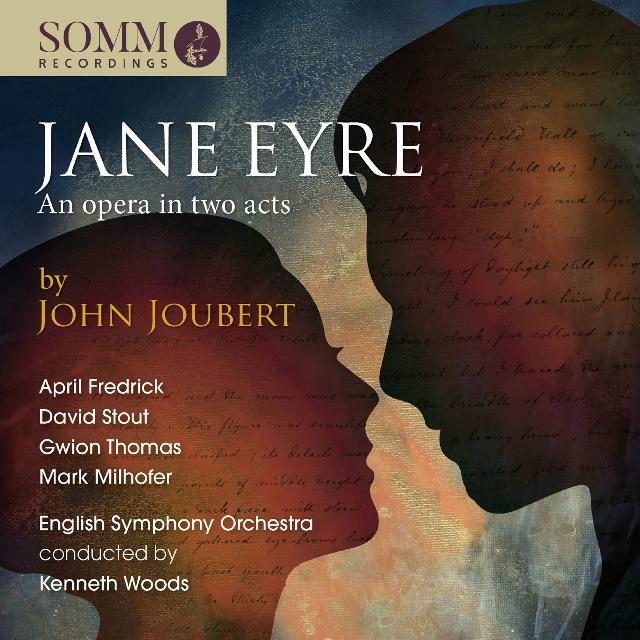 Begun in 1987 and completed a decade later, John Joubert’s Jane Eyre received its belated professional premiere in a concert performance in Birmingham in late 2016. This recording of that event coincides with Joubert’s 90th birthday in March 2017 and delivers the perfect tribute. It’s a thrilling, emotional experience characterised by a score rich in feeling (variously conjuring Wagner, Strauss, Puccini, Britten and others) and dramatic focus. Kenneth Birkin’s articulate libretto distills Charlotte Brontë’s atmospheric novel into six seminal scenes but the cumulative experience is altogether intense and involving. Kenneth Woods's assured conducting coaxes committed playing from the English Symphony Orchestra with vocal performances throughout strong and characterful. Outstanding is April Frederick’s titular heroine, richly imagined and sung with nuanced grace and passion. David Stout’s Rochester boasts a powerful, tortured presence, with Clare McCaldin’s Mrs Fairfax and Mark Milhofer’s Reverend Rivers also making valuable contributions. Kudos, too, to engineer Ben Connellan, and to Somm Recordings, currently on a creative surge. Highly recommended.